This article is about the best international relations institutes. International relations is also known as international affairs. This is very important field as it related to political science. In it the relationship among countries, International Non-Government organizations, NGO, S, IGO, S and role of sovereign states are studied. As it deals with the foreign affairs and relations between the different nations it is very important and is studied by many students. Those who are interested in studying international relations in the world best institutes this article will be of great help. As we will rank the best institutes that offer international relations to students. Students from different countries came abroad to study international affairs into the world best institutes. So following are the institutes that are in our top ten list and are known worldwide for their quality education. 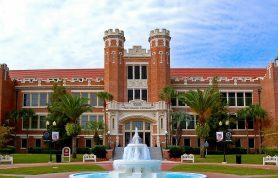 Following are the best universities for international relations ranked by U.S Scholars. 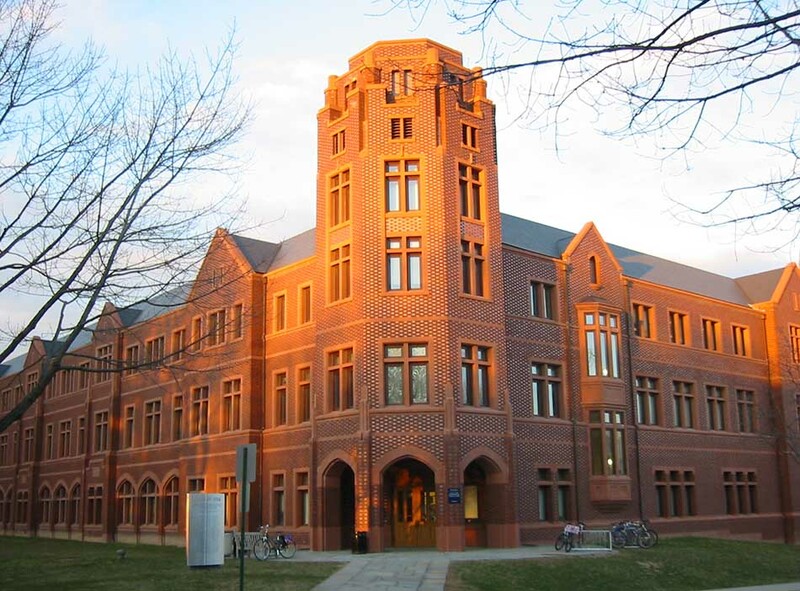 University of Michigan is a public research institution that is situated at Ann Arbor in United States. In 2014 the acceptance rate of the institution was 32.2% while the students enrolled in 2014 were 43625. Among them 28395 were undergraduates and 15230 were postgraduates. This prestigious institution was established 198 years ago in 1817. Arts, Knowledge, Truth is the motto of the institution. Its endowment is US$ 9.47 billion and its budget is US$6.62 billion. 6771 is the academic staff of the institution while 18986 is the administrative staff of the institution. Wolverines is the nickname of the institute. Umich.edu is its official website. According to U.S Scholars it was given 9.49%. 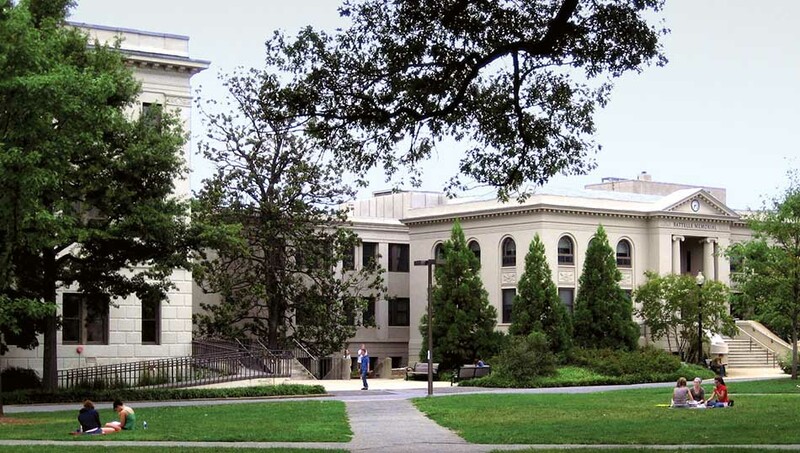 American University is a private, Coeducational institution. It is also known best research based, liberal arts curriculum and doctoral university. This famous institution is situated at Washington D.C in United States. In 2013 the acceptance rate of the institution was 34.1 %. In 2014 the students enrolled here were 13061. 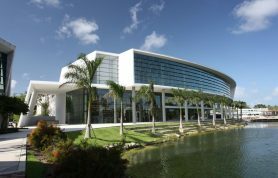 The noteworthy alumni of the institution includes Barry Josephson, Connie Morella and many other influential personalities. This private institution was established in 1893. Neil Kerwin is the president of the institution. Full Time 848 academic staff is present here. 6776 are the undergraduates enrolled here while 3464 are the postgraduates. Campus is present in the urban area. Eagles is the nickname of the institute. It is affiliated with Methodist. Beside that it is also affiliated with CONAHEC, APSIA, IAMSCU, NAICU and CUWMA. 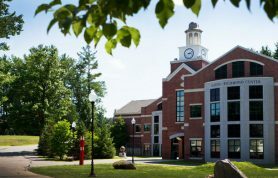 American.edu is its official website. Nationally it was ranked 134th by Forbes Nationally and 71st by U.S News and World Report. According to U.S Scholars it was given 9.92. 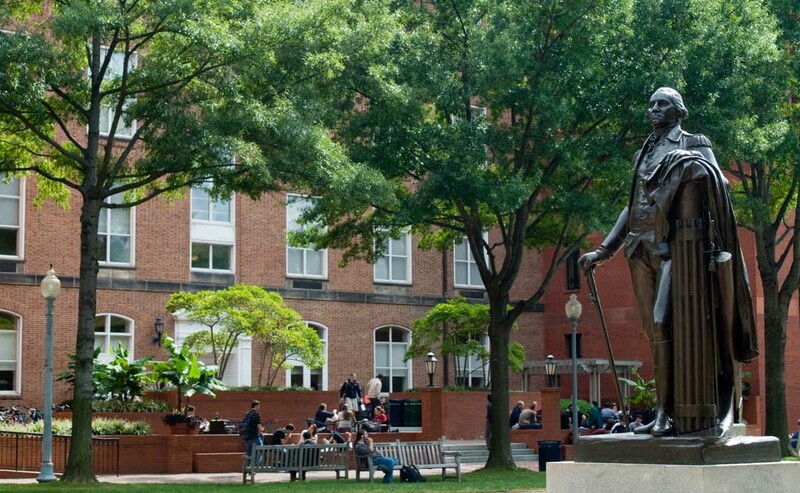 George Washington University is situated at Washington DC in United States. It is a private coeducational institute. In 2013 the acceptance rate of the institute was 34.4% and students enrolled here in 2013 were 25264. There are many notable personalities that have studied in this institute. Such as Harry Reid, Eric Cantor, Colin Powell and many other well renowned and influential personalities. Gold is our Trust is the motto of this institute. The endowment of this private institute was $1.57 billion. Nelson A. Carbonell, Jr is the chairman of the institute. 2663 is the academic staff of the institute. Colonials is the nickname of the institute. It is affiliated with NAICU, SURA, ORAU and CUWMA. Gwu.edu is the official website of the institute. . According to U.S Scholars it was given 11.39%. Yale University is situated in New Haven, Connecticut. It is a private research institute that offers quality education to the students. It was founded in 1701. In 2014 the acceptance rate of the institute was 6.3 %. In 2013 the students enrolled here were 12109. Timothy Woodbridge, Samuel Andrew, James Noyes and more are the founders. Its notable alumni includes Meryl Streep, Paul Krugman and many others. Light and Truth is the motto of the institute. The endowment of this private institute is $23.9 billion. 4171 is the academic staff present here. Bulldogs is the nickname of the institute. It is affiliated with Ivy League, AUU, IARU, and NAICU. Yale.edu is its official website. It was ranked 11th by ARWU and 9th by TIMES globally. According to U.S Scholars it was given 18.67%. 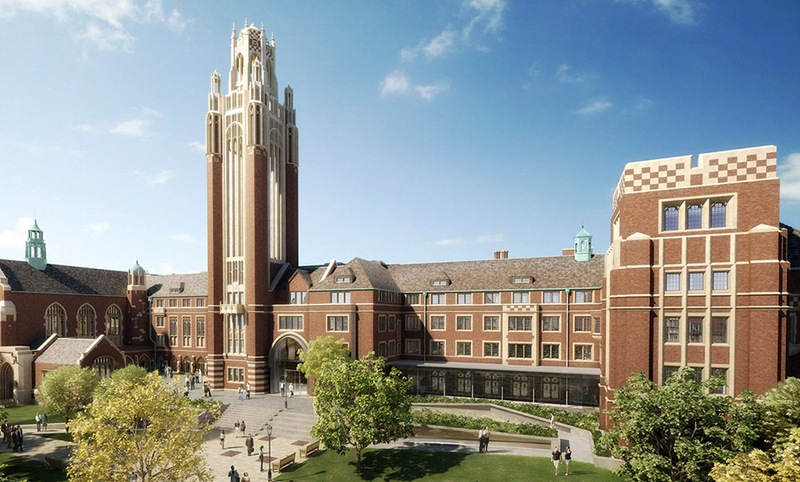 University of Chicago is situated in Ellis Ave, Chicago in Unites States. It is well renowned private research institute. In 2015 the acceptance rate of the institute was 7.8% and the students enrolled here were 14467. William Rainey Harper, John Dewey and John D Rockefeller are the founders. The noteworthy alumni of the institute includes Roger Ebert, John Paul Stevens, Paul Samuelson and many others. 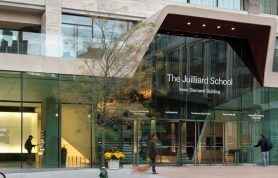 This is a private nondenominational coeducational institute have an endowment of US$ 7.47 billion. 2168 is the academic staff of the institute while 14772 is the administrative staff of the institute. Campus is located in the urban area. Maroons is its nickname. It is affiliated with AAU, NAICU, URA, CIC and 568 group. Uchicago.edu is its official website. It was ranked 9th by ARWU and 11th by TIMES globally. According to U.S Scholars it was given 19.62%. Columbia University is situated in New York in United States. In 2014 the acceptance rate of this research institute was 6.9%. While in 2013 the students enrolled here were 29250. It was founded in 1754. The noteworthy alumni of this institute includes Barak Obama, Milton Friedman, Warren Buffett and many others. In Thy Light shall we see Light is the motto of the institute. The endowment of the institute is US$ 9.23 billion. 3763 is the academic staff of the institute. Columbia Daily Spectator is the newspaper of this university. Columbia Lions is its nickname. It is affiliated with AAU, URA, NAICU and 568 Group. Columbia.edu is its official website. According to U.S Scholars it was given 24.37%. 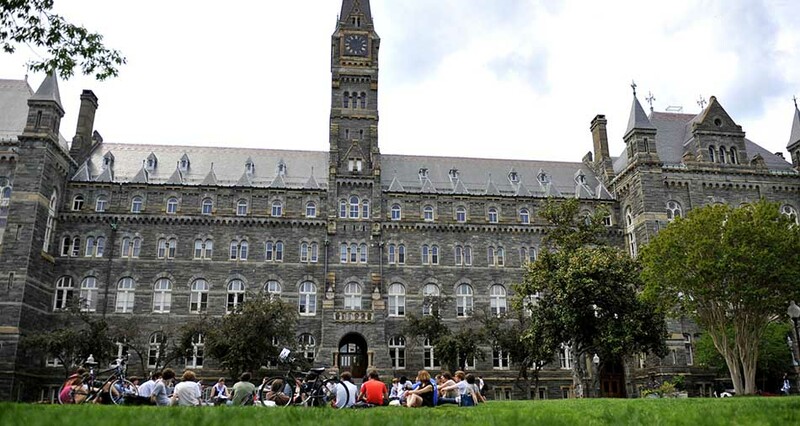 Georgetown University is situated at Washington DC, in United States. It is a private research institute which was founded in 1789. In 2013 the acceptance rate of the institute was 17.1 % and in 2013 the students enrolled here were 17849. John Carroll is the founder of the institute. The noteworthy alumni of the institute includes George Tenet, Bradley Cooper and many others. This private nonprofit university is affiliated with Roman Catholic. In 2014 the endowment of the institute was $1.461 billion. Campus is present in the urban area. Hoyas is its nickname. It is affiliated with ACCU, AJCU, NAICU and many more. 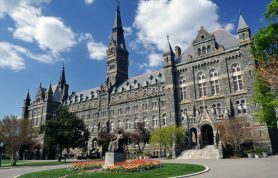 Georgetown.edu is its official website. According to U.S Scholars it was given 28.06%. 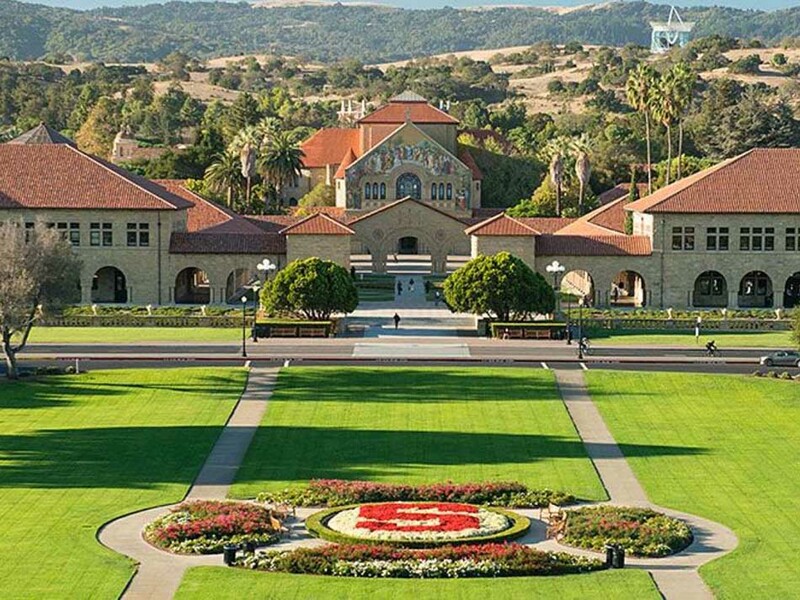 Stanford University It is located in Stanford in United States. It is the private research institute of California known all over the world for its quality education. In 2014, the acceptance rate of the institute was 5.1%. While in 2014 the students enrolled here were 15877. This prestigious institute was founded in 1885. Leland Stanford and Jane Stanford are its founders. The noteworthy alumni of the institute include Larry Page, Sergey Brin, and many others. Stanford University also has its stadium named STANFORD STADIUM. In 2014, its endowment was US$ 21.4 billion. 2118 is its administrative staff while 11128 is its administrative staff. The campus is present in the suburban area. Cardinal is its nickname. Stanford.edu is its official website. According to U.S Scholars it was given 33.02%. 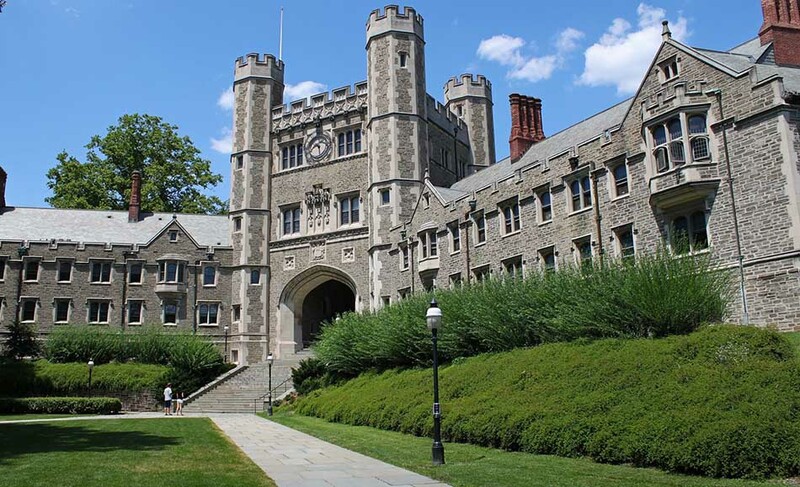 Princeton University is situated in New Jersey. This is a private research institute that have the acceptance rate of 7.4% in 2014. While in 2013 the students enrolled here were 8014. This prestigious institute was founded in 1746. The noteworthy alumni of the institute includes Woodrow Wilson, Brooke Shields and many more. Under God, s Power she flourishes is the motto of the institute. 1172 is the academic staff that is present in the institute while its administrative staff is 1103. Campus is present in the suburban area. Tigers is its nickname. It is affiliated with AAU, URA, and NAICU. Princeton.edu is its official website. . According to U.S Scholars it was given 39.14%. 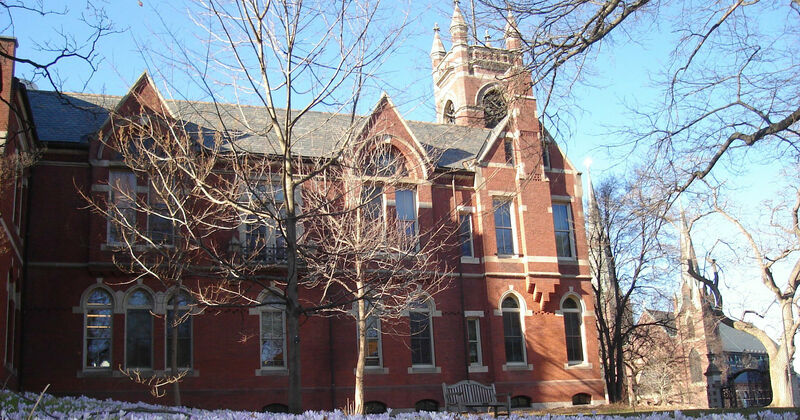 Harvard University is the research institute. In 2014 the acceptance rate of this prestigious institute was 5.9%. If we talk about wealth and influence this is the world well renowned and prestigious institutes. This world renowned institute was founded in 1636 at 8th September. It is located at Cambridge in United States. Many well renowned, prestigious personalities have studied from this institute. 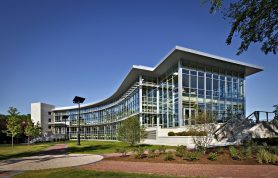 Such as its notable alumni includes Barack Obama, Bill Gates and many other. U all must be familiar with these influential personalities. We ca know the importance of this famous institute just by looking at its notable alumni. 4671 is the academic staff that is present here. It has also its own newspaper named as THE Harvard crimson. 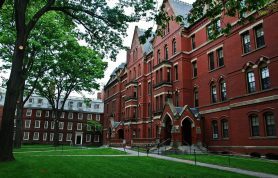 Harvard Crimson is the nick name of the institute. It is affiliated with NAICU, URA, AAU and AICUM. Harvard.edu is its official website. According to U.S Scholars it was given 46.20 %. It was also ranked 1st by ARWU nationally and globally. While it was ranked 2nd by TIMES and 4th by QS globally. The above mentioned were the best top universities in the world for international affairs that we have ranked. 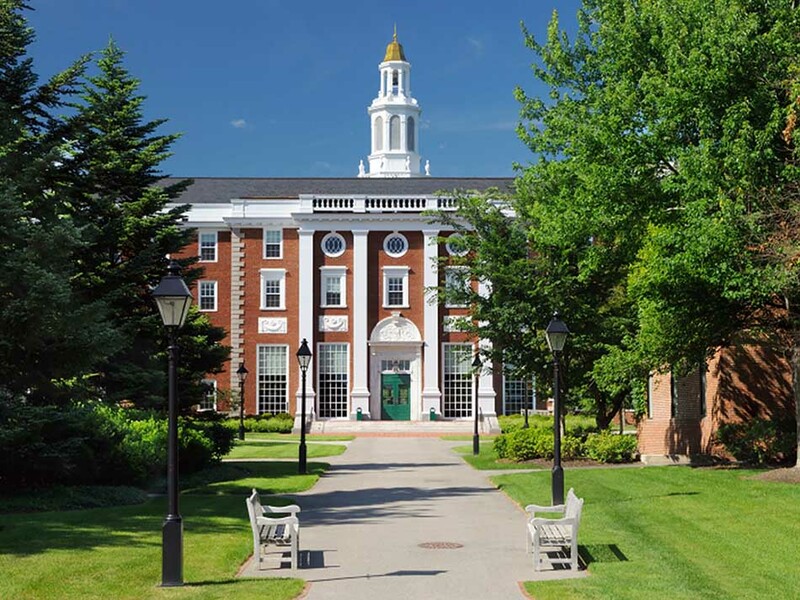 The above written top ten institutes were not only ranked by U.S Scholars but also by ARWU, QS, FORBES, U.S News and World Report and many others. These institutes are not only ranked among the top institutes in their own country but also in worldwide. This is very interesting field as it’s involve relations or affairs among different countries. So this is the reason many people from different countries came to study in these above mentioned institutes.